Isreali Prime Minister Benjamin Netanyahu vowed revenge against Hamas after three teens kidnapped June 12 in the West Bank — including one with U.S. citizenship — were found dead Monday, just north of Hebron. The leader’s angry words came hours after the search for Eyal Yifrach, 19; Gilad Shaar, 16; and Naftali Frenkel, also 16, who were snatched while hitchhiking, ended in the West Bank, where Hamas operates. Sources said the bodies were found in a shallow grave in an open field in the West Bank village of Halhul, just north of Hebron. Why are we sending money to a government that includes a terrorist organization that routinely kills innocent civilians, including Americans? National Review Online posted a story today about Mitzi Bickers, who played a major role in Thad Cochran’s primary victory in Mississippi. Ms. Bickers is a Democratic staffer and political strategist. Last year, she left her job as a senior adviser to Atlanta mayor Kasim Reed after news surfaced that she had filed a fraudulent financial-disclosure statement. It is becoming very clear that some Republicans are as opposed to the Tea Party as the Democrats are. Why? Because some of the Republican establishment has morphed into a Democrat Light party and has lost its way. The Republican establishment no longer adheres to the principle of smaller government and individual freedom. They have joined the Democrats in supporting the status quo and consolidating power in Washington. The Republican Party needs to get back to its roots and its platform if it intends to be a political force in the future. WCVB.com is reporting today that the Supreme Court has struck down a Massachusetts law requiring anti-abortion protesters to stay at least 35 feet from patients and staff at abortion clinics. In the unanimous decision, justices ruled that extending a buffer zone 35 feet from clinic entrances violates the First Amendment rights of protesters. The ruling signals that states can pass laws ensuring access to clinics, but cannot more broadly ban speech on public streets and sidewalks. “It balances the rights of those who need and want access to the clinic. It balances the right and need for public safety. And it balances the rights of those who want to speak and to get their message out,” Massachusetts Attorney General Martha Coakley said in January. The Supreme Court overruled the opinion of Ms. Coakley. USA Today is reporting today that the Supreme Court has ruled that several recess appointments made by President Obama in 2012 were invalid. The ruling against President Obama’s recess appointments was unanimous; however, four of the justices wanted to restrict the President’s power to make recess appointments. The high court’s ruling means that hundreds of decisions made by the labor board while dominated by Obama’s recess appointees in 2012 and half of 2013 will be called into question. The new five-member board, including four members since approved by the Senate, will have to revisit those cases. Consumer protection chief Richard Cordray has since been confirmed by the Senate, so he can reaffirm his prior actions. This is the second unanimous Supreme Court decision in two days–yesterday the Court ruled that police required a search warrant to search the information on a suspect’s cell phone. CBN News is reporting today that Meriam Ibrahim has been released from government custody again in Sudan. “She was seized at the airport by the National Intelligence and Security Services of Sudan who do not answer to criminal courts – they are outside the judicial system,” Jordan Sekulow, executive director of the American Center for Law and Justice, said. Marie Harf, a spokeswoman for the U.S. State Department, says the Sudanese government has assured the U.S. that the family has now been released again. Harf said U.S. officials are continuing to work on getting them out of the country. …The 27-year-old Ibrahim was originally sentenced to 100 lashes and execution by hanging because the government says her father was a Muslim. Therefore, under Islamic law known as Sharia, she’s not allowed to become a Christian, even though she contends she was never a Muslim in the first place. It is becoming obvious that Mrs. Ibrahim will not be safe until she is out of Sudan. It is also quite possible that radical Muslims will be a threat to her safety if she comes to America. However, the right thing to do is to bring her, her husband and her children here and put them in the witness protection program to protect their identity. Sharia Law is nasty, and many Muslims believe in it. They believe that they would be serving their god by killing this woman because she is a Christian. Many years ago I knew someone who left an abusive Muslim husband and was put into the witness protection program to avoid an Honor Killing–her brother had vowed to kill her in the name of allah. Sharia Law is not something we want to allow in America. How Many ‘Isolated Incidents’ Does It Take To Form A Pattern? The Blaze is reporting today that another government agency has lost certain emails that Congress is seeking. There seems to be an epidemic of ‘the dog ate my homework’ in Washington. The epidemic needs to stop–NOW! EPA Administrator Gina McCarthy told Rep. Mark Meadows (R-N.C.) that the EPA is still wrestling with how to recover emails from a former EPA official based in Alaska, who was involved in decision to block a proposed mining operation. Meadows pressed McCarthy on how progress was coming along, and McCarthy admitted there are problems. McCarthy never attributed it to a computer crash, like the IRS did in the case of Lois Lerner. Instead, she said it’s a problem that involves multiple failures. …When Meadows asked if the EPA has told the National Archives, McCarthy said the EPA did take that step. “When did you do that?” he asked. When did America become a banana republic? Where is the accountability? 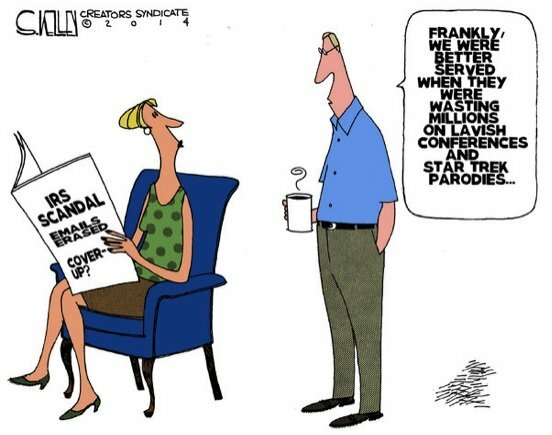 Is Congress even aware that they are being totally dissed and their oversight committees mocked? This has got to stop. 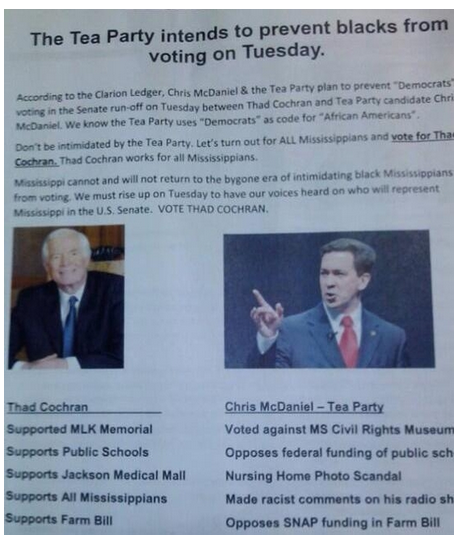 The Corner at National Review posted a picture of the flier that Thad Cochran passed out before the Mississippi Republican primary election. I am ashamed that a Republican ran this sort of campaign. However, this campaign would have been much less effective on an educated voter base. In the end, the voters are responsible for who they send to Washington. As much as I hate to see Harry Reid stay in power, I hope Senator Cochran loses in the general election. This is a disgrace. It is also a reason conservative Republicans should stop giving money to the Republican Party, but only donate to individual candidates. The Democrats have branded the Tea Party as racist as a way to undermine the message of smaller government and lower taxes. It is a shame that some establishment Republicans have chosen to echo that message. The Tea Party represents the only hope of change in Washington. That is why the political class is so opposed to their message. On Friday I posted a screen capture of an advertisement asking for contractors to transport unaccompanied illegal alien children coming to America (rightwinggranny.com). The humanitarian crisis on our southern border was manufactured by the Obama Administration. Because they manufactured it, the Obama Administration also has the power to stop it. However, as reported in the Daily Caller yesterday, the Obama Administration has given orders to block Border Patrol Agents from doing what is necessary to stem the tide of unaccompanied children coming across the border. If officials wanted to block the “Dream Deluge” of Central Americans youths, for example, “they would stop releasing them to family members [in the U.S., and] make sure they’re in long-term detention until they could either verify an asylum claim or a claim for persecution,” said Shawn Moran, vice president of the National Border Patrol Council. Immigration officials could make sure the youths’ parents are legal residents before they transfer the children and youths, and then deport the parents if they’re here illegally, said Moran, whose council serves as a union for border patrol officers. But Obama’s appointees say “the whole goal of the process is family unification, so we’re not allowed to even ask the legal status of whosoever is picking them up,” he said. This is another example of President Obama’s philosophy of “the law is whatever I say it is.” That attitude is the mark of a dictatorship–not a republic. Either the press (which isn’t going to) or Congress needs to hold President Obama accountable to his job description–upholding the U.S. Constitution (and the law). This is not a pattern of behavior that can be allowed to continue–our Republic is in danger. President Obama needs to be censured, at least, for his behavior. Yesterday freedom-loving people in the world rejoiced because a Sudanese court annulled the death sentence of Meriam Ibrahim, who was in jail with her children for marrying a Christian and for “abandoning” the Muslim faith.. Unfortunately, the joy at her release was short-lived. CBN News is reporting today that she was re-arrested Tuesday at the international airport in Khartoum while trying to leave the country. The case drew outrage from the international community. Protesters recently gathered outside the White House to demand action by the Obama administration. “She and the children should be reunited at home with her family rather than held in prison on charges of apostasy,” U.S. Secretary of State John Kerry said, calling Sudan to repeal it’s anti-human rights laws. He also suggested that Sudan repeal any Islamic laws that go against basic human rights. Meanwhile, the American Center for Law and Justice is calling Ibrahim’s arrest a “deeply troubling” development. “The decision to take the entire family into custody is a violation of international law and we call on Sudan to release them without delay,” ACLJ Executive Director Jordan Sekulow said in a statement. This is the face of Sharia Law. This is what Muslims (even some ‘moderate’ Muslims) want to bring to America. Make no mistake, Sharia Law and religious freedom cannot co-exist. If you like your religion, you cannot keep it under Sharia Law. Americans need to stand strong for human rights in our own country and for people around the world. We need to exert a lot of pressure on Sudan for the treatment of this woman–her husband is an American citizen and her children are American citizens. Is American citizenship worth anything right now? Haven’t These People Read The U.S. Constitution? Today Breitbart.com reported that Robert Barnes, a reporter for the Washington Post, has argued that the individual right to keep and bear arms was established in 2008 by the Supreme Court case District of Columbia v. Heller, a case that was decided five to four. According to the Declaration of Independence, our rights are unalienable, they come from God–not from man, and government derives its power from the consent of the governed. Our rights do not come from the Supreme Court or any Justice on the Supreme Court. For Barnes, like Winkler, Kennedy is key to restricting “the fundamental right the court found six years ago. The Second Amendment (like the rest of the U.S. Constitution) was designed to protect Americans from a tyrannical government usurping power and taking over the country. At some point I hope that those who want to undo the Second Amendment realize that it protects them–it does not endanger them. September 11, 2001, was a horrible day for America. Everyone in the country was touched in some way by that event–either they knew someone who was injured or killed, or they saw the pictures of people jumping out of buildings and understood the horrors of the attack. There were some amazing stories that came out after the attack about people whose courage and clear thinking saved lives and people whose faith upheld them as their world literally collapsed. One of the most moving things was the ‘cross’ found in the rubble that became a place where people prayed and left flowers. That cross was slated to be included in the memorial museum remembering September 11th. The atheist group American Atheists protested and sued. A federal judge in the Southern District of New York threw the case out of court. American Atheists appealed. Yesterday, Fox News posted an update of the story. The appeals court ruling Thursday cites an amicus brief filed by the Becket Fund for Religious Liberty, a nonprofit law firm that specializes in church-state law and protecting the free expression of all religious traditions. The judge has also asked the plaintiffs to substantiate their claim the museum and Sept. 11 memorial are getting taxpayer dollars. If we don’t stand up for the First Amendment, we will lose the privileges included in it. Reason.com reported yesterday that the Internal Revenue Service (IRS) had a contract with Sonasoft, whose trademark states, “Email Archiving Done Right.” The contract began in 2005. Today’s Daily Caller posted a story about a community that stood up to the Obama Administration and won. St. Paul’s College, in Lawrenceville, was being eyed as a place to house 500 Unaccompanied Children — minors, mostly from Central America, who were apprehended at the U.S.-Mexico border. A contract signed on June 12 would have given St. Paul’s College — which closed last year amid financial difficulties and accreditation issues — $160,000 a month for the next five months. But the “done deal” unraveled after local residents expressed outrage over the plan. The original deal was reached between the college and the Health and Human Services Department of the Obama Administration without any input from the sheriff of Lawrenceville or the local residents. Some residents were concerned that the immigrants from violent countries like Honduras, El Salvador, and Guatemala would result in more crime in the area. Others felt that the federal money involved could be better spent elsewhere. There is another aspect of this issue. Americans have generally been vaccinated for measles, chickenpox, and other diseases. Medical care in American (despite ObamaCare) is very good, and many diseases are not common here. Various sources have reported that because of the overwhelming number of immigrants currently coming across the border illegally, there is no real medical screening. This sudden influx of illegal immigrants represents a serious health threat to Americans. We could be creating the kind of situation where the first Arctic explorer sneezed on a native Alaskan and wiped out the whole tribe because they had no antibodies for the common cold. Our government is not protecting us–they are endangering us by the way they are handling border security. 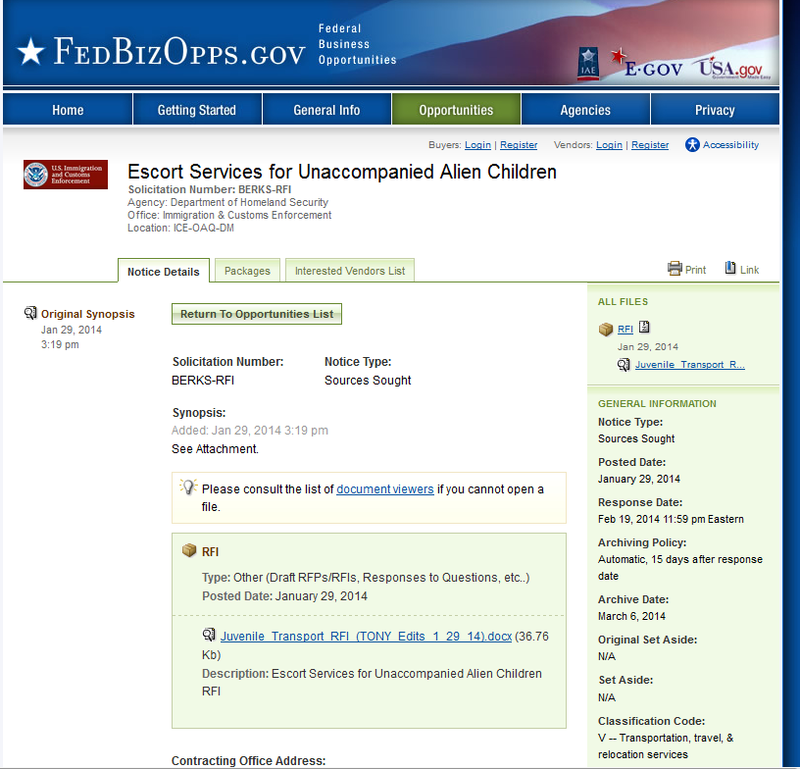 This is a screenshot from a Federal Government website ad from January 29, 2014. 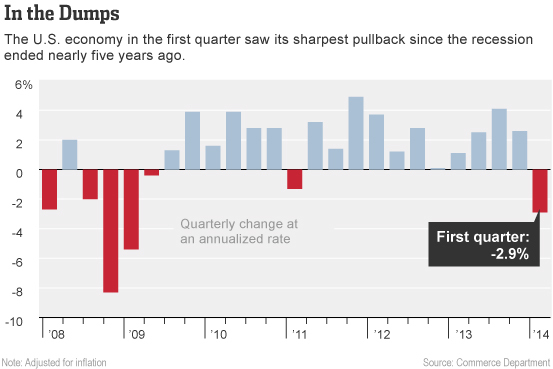 If you have not yet researched Cloward Piven Strategy, this might be the time to do it. Remember the famous quote, “Never let a crisis go to waste.” If you have to, manufacture the crisis!